Here at Lou Lou's Corner we know that reading even at an early age can help a child's mental growth. So we've provided you with all of the books you could want, from classic bedtime stories to the newest and most popular books on the market. 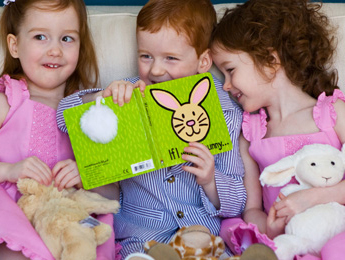 Not to mention soft and plush books perfect for babies! Pick a title below and you and yours are sure to enjoy a great read!